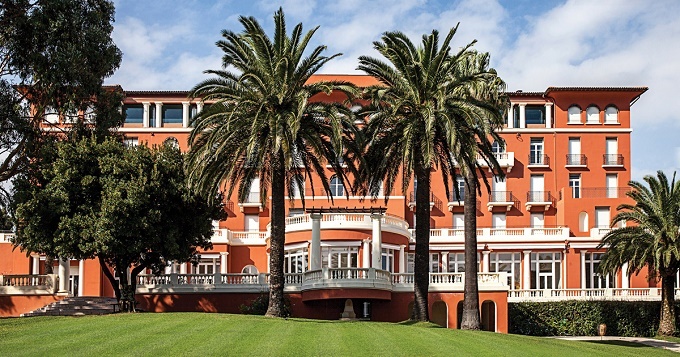 The Grande Dame of the French Riviera, Le Beauvallon which once played hat to the likes of the novelist Collette end Lady Churchill, can now be now yours, all yours. The elegant mansion has been re-imagined as a private residence and estate available for exclusive hire. Le Beauvallon is steeped in 100 years of history. It has played a part in both World Wars and welcomed other eminent guests sincluding Edward Kennedy and King Mohammed V of Morocco. 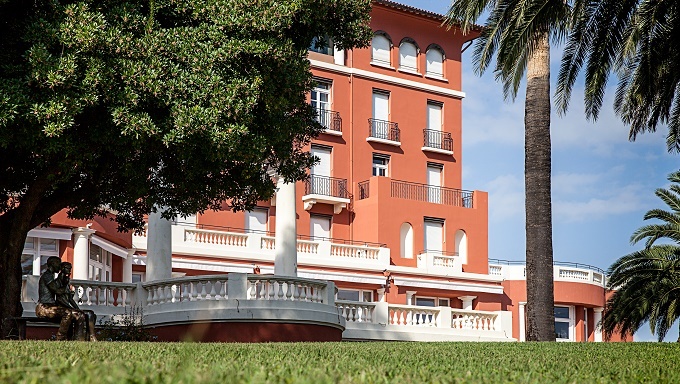 With its open air terraces looking out over the Bay of Saint Tropez and sweeping ballroom, Le Beauvallon retains its sense of grandeur and 20th century elegance and glamour. 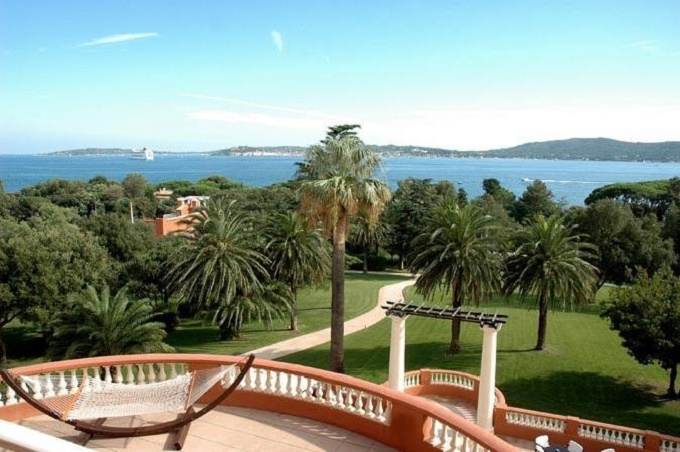 Le Beauvallon is one of the few places on the Riviera which close to the bright lights of Saint Tropez but has enough space to offer peace and quiet. Once a hotel now restored to mansion status The new look Le Beauvallon has been completely redesigned as a 42-bedroom private property, possibly the most exclusive in the South of France. Set in four hectares of landscaped estate grounds, Le Beauvallon has 27 spacious suites and 15 en suite rooms, many with terraces and panoramic sea views; a Sky Pad penthouse with floor-to-ceiling windows; a private beach club and half Olympic-sized swimming pool, complete with a 10 seater limousine boat to transfer guests to Saint Tropez; an elegant ballroom; chairman’s office; meeting room; state-of-the-art 12 seater cinema; living room; dining room; Winter Garden; library; games room; gymnasium; dance studio; two spa treatment rooms and a large playroom brimming with a selection of teddy bears, games, wooden toys and dolls’ houses. Phew! What more could a luxury-lover desire? This is the perfect property for a party, a family reunion, corporate retreat or just a holiday with forty of your closest friends. The historic property has undergone extensive renovations, including bringing the ground floor to its original proportions and restoring a hand painted ceiling from 1914. Around every corner are carefully curated pieces of art including specially commissioned sculptures, original paintings and artefacts from all over the world. TLTB love the fact that the 2002 Serpentine Gallery Summer Pavilion, is now used as Le Beauvallon’s Beach Club. The service at Le Beauvallon can be arranged to suit. Private chefs and nannies re on hand should you want them. For guest transfers Le Beauvallon offers a range of options including private plane transfer, helicopter and the property’s own limousine boat. F. Scott Fitzgerald eat your heart out! Exclusive hire of Le Beauvallon is €80,000 per day during July and August or €70,000 per day during other months excluding F&B.